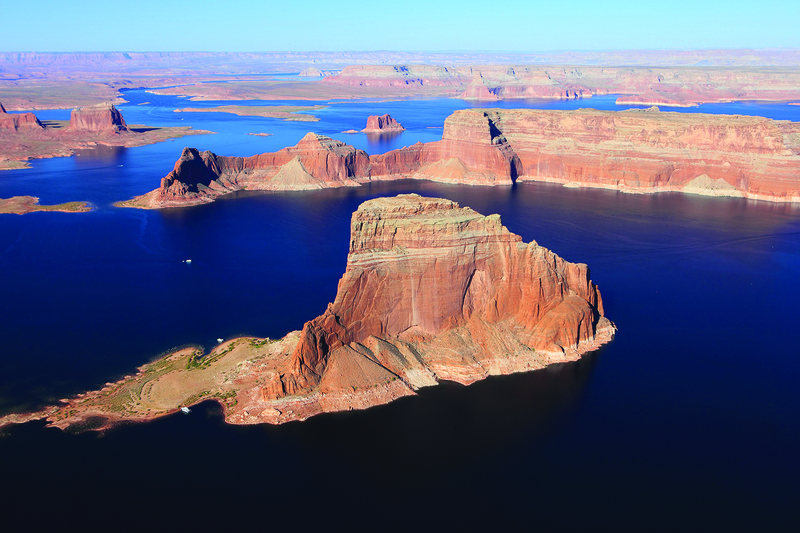 Immerse yourself in the beauty and geological wonders of the American Southwest. 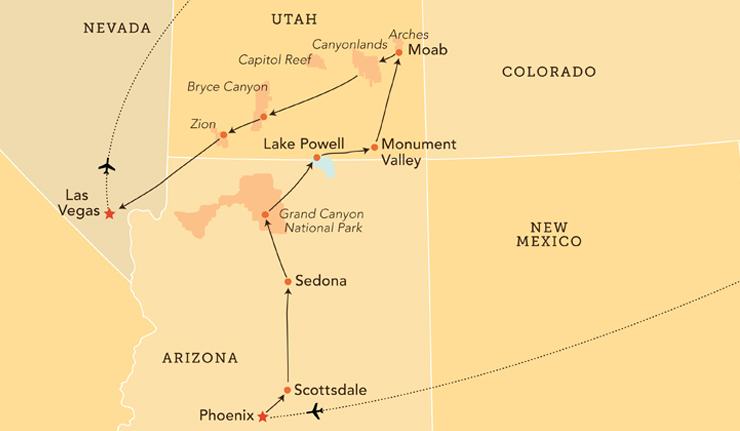 After a welcome reception in Scottsdale, experience a Navajo cookout and storytelling, take a 4-wheel drive tour through Monument Valley and discover the immensity of the Grand Canyon. Follow the paths of ancestral Puebloans and pioneers at Zion National Park, behold the hoodoos in Bryce Canyon National Park and visit Arches National Park to see its intricately eroded arches. Enjoy a wine tasting in Moab, take a Glen Canyon rafting trip and visit beautiful Antelope Slot Canyon. Finish your journey with a farewell dinner in Las Vegas.